Housebuilder Bovis Homes is to deliver much-needed new homes to Ash, after completing the purchase of land in the village. The land acquired by the company has outline planning permission for 90 new homes, including 27 properties allocated as affordable, to be delivered by a housing association. Doug Law, land director at Bovis Homes’ South East region, which is headquartered in Kent, says: “We’re delighted to have completed the acquisition of this land and look forward to progressing the reserved matters approval for these homes. We remain committed to ensuring any development brings positive enhancements to the existing community. “If our reserved matters application is successful, we would hope to begin work on site in early 2020, with the first residents moving in towards the end of the year,” adds Doug. Bovis Homes’ proposals include contributions towards the community totaling more than £500,000, including investment in primary and secondary education, healthcare, local areas of play, and outdoor sports. The development will also provide areas of public open space and enhanced landscaping along the Public Rights of Way through the site. 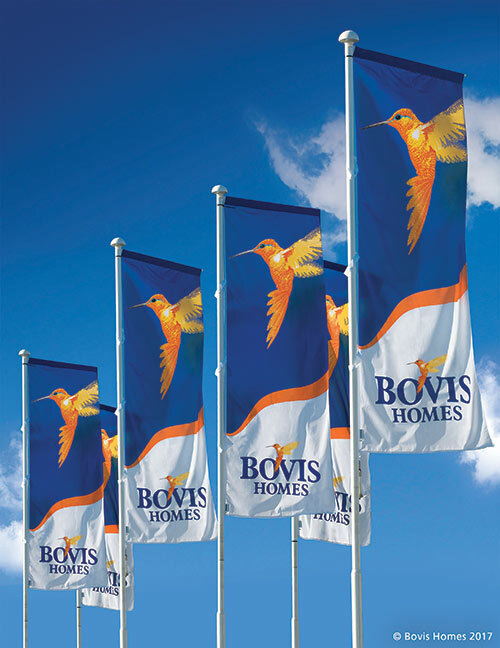 The new development will also be made up entirely of Bovis Homes’ brand-new housing range. The collection ranges from two-bedroom homes to large family houses, and has been carefully designed for modern lifestyles, whilst still retaining traditional charm.